With the Halo Wars demo out and the game's retail release just weeks away, you could be forgiven for overlooking the other RTS games that have come out for the consoles thus far. While it's true Ensemble Studio's swan song features some of the most well thought out RTS console controls ever conceived, you have to ask yourself, "Does it feature Tim Curry chewing up scenery with a bad Russian accent?" 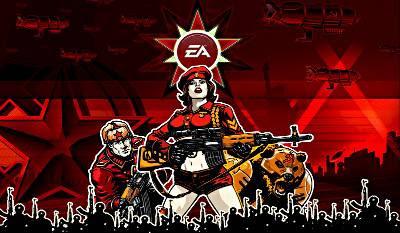 Enter EA's Command & Conquer: Red Alert 3. This game was released to the PC and 360 last November and has already been discounted to $29.99 at Best Buy Canada and Future Shop. After picking up FEAR 2: Project Origin I had reassured myself that I had enough gaming content to last me well into the spring. Well, what do you know, my will is weak. Get while the gettin's good (or be really thrifty and wait for another price slashing).